1. Bill Bremner was an original Rutle, in a manner of speaking. He backed Eric Idle and Neil Innes on the original TV show as a member of Fatso. 2. Bremner wrote Rockpile classics like “Trouble Boys” and “Heart”. 3. He sang lead vocals on several hits, most notably “Heart”. 4. He recorded with The Pretenders and on the track “Back on the Chain Gang”. 5. Billy recorded some terrific but relatively obscure work with The Refreshments. 6. Bremner had a UK hit with “Loud Music in Cars”, still a favorite summer time track to play while “the windows go down and the volume goes up”. Produced by The Records’ Will Birch, “Loud Music..” would become a power pop classic. While some songs are better than others, this collection of 21 tracks from throughout Bremner’s career presents more than ample evidence of his talents as a singer, guitarist and songwriter. Unless you’re a collector of all things Bremner (which I am), you’ll find more than a few nuggets that really catch your ear, ones you hadn’t heard earlier. Most fit comfortably within the Rockpile vein such as “Tired and Emotional (and Probably Drunk)”, “Fire in My Pocket” and “No If, But, and Maybe”. All are better than average tracks that deserve attention. And the “hits” are there, too. “Loud Music in Cars” takes the lead – and the demo is here, too. It’s always interesting to hear the way in which a song takes form, so this is pretty cool. Demos are included for some other favorites such as “Creature of the Black Lagoon”, “Trouble Boys” and “Stuck in the Fog”. The latter is a pretty excellent song that I’d not yet heard. Pretty awesome. I only wonder why none of Bremner’s work with The Refreshments were not included. 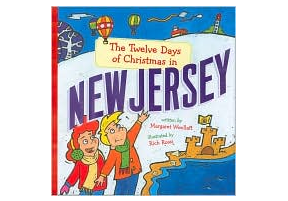 Perhaps there were licensing issues. 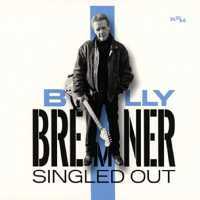 Regardless, Billy Bremner’s Singled Out is a must for Rockpile fans as well as anyone who misses the days of Pub Rock and rockabilly on the radio. Get your copy at Kool Kat Musik.